Building the secure cryptocurrency exchange is always the biggest concerns to the owners. To handle this problem, Exchange Script provides the cryptocurrency exchange with the highest secure technologies. KYC/AML system is the process of verifying the identity of its users and assessing potential risks of illegal intentions for the business relationship. This system will manage user document, verify document and support the AML system. Any cryptocurrency can be integrated into the exchange with integrating mail and SMS service. It gives the estimation of the trading activities on the cryptocurrency market. It enables you to understand and view present trading activities running on the website. Multi-sig wallet allows you to conduct traders KYC and AML check. It helps the transaction become transparent and safe. If the cryptocurrency will be sent to the multi-sig wallet, users just can withdrawal when having the signature of attendees. Trade Chart provides an overview of every cryptocurrency trade and a complete understanding of the market at that particular point of time. With the P2P cryptocurrency exchange system, users can send and receive cryptocurrency anywhere without any involvement of a third party. Hot wallet stores cryptocurrency that is connected to the internet, which avoids attacks. Besides, we integrate multi private keys. Two-factor authentication is a method of confirming a user’s identity by using two different factors including Private Keys & QR Scanner. 2FA is implemented on every login and withdrawal to ensure that the right user is accessing the account. On any activity of the user, the request will get encrypted at client side that will be checked for authorization at the server side. Authorization and encryption both are the important systems used in the cryptocurrency exchange. As an experienced cryptocurrency exchange developer, Exchange Script will develop the exchange with high-security standards, fast transaction speed, large transaction volume and user-friendly. Provide the professional cryptocurrency exchanges with the latest technologies base on Blockchain. Exchange Script specializes in the development of customized cryptocurrency exchange services that are trustworthy. 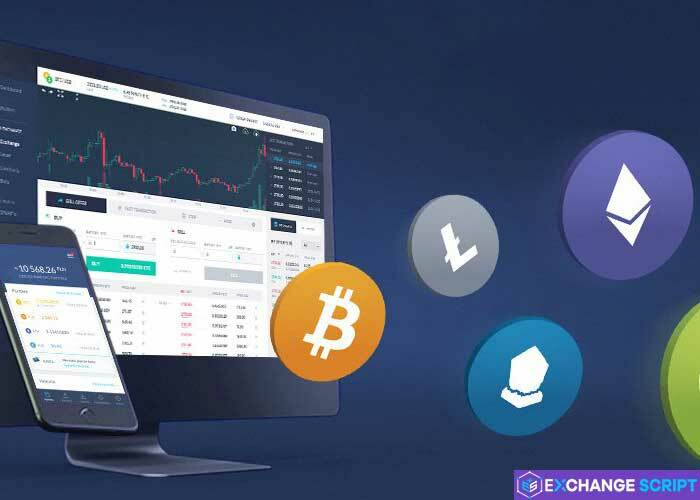 Exchange Script has a team of experts who can consult and develop user-friendly cryptocurrency exchanges website for transactions.